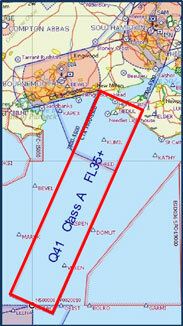 This proposal would change the classification of the airway to Class D below FL80 to allow use by VFR aircraft. This would improve safety by removing the need for aircraft flying VFR to fly below FL35 during a long over-sea transit. It would also reduce the need for such aircraft to cross D-036 which carries the risk that entry may be refused resulting in the need to reroute.